Employing a completely natural biological process the selected micro-organisms in WASTEX digest organic waste, stains,fats and grease. These substances become a food source for the WASTEX and are liquified and digested producing only carbon dioxide and water. Wastex is particularly effective in cleaning kennel runs, concreted areas, animal sheds and deep down pet accidents and pet odour problems such as cat urine off carpets, dog pee or organic spills such as spilled milk on carpets or floors. It will also assist in clearing blocked drains. 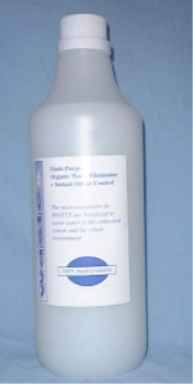 General cleaning - Use as a normal cleaner for sinks, showers, floors, tiled walls, etc. 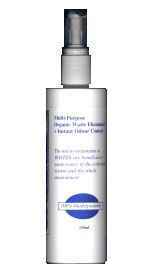 Removes surface dirt and residual organics from pores of wood and concrete, tile grouting, pores of ceramics, between fibres, and fixtures. 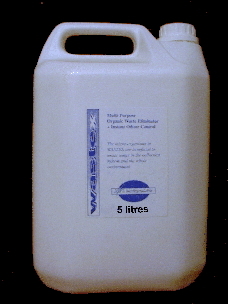 Can be sprayed, mopped or sponged to remove odours from bathrooms, urinals, floors, soiled carpet or fabric. Can be used to spot clean or shampoo carpets, curtains or laundry to remove deep organic stains such as food, wine, vomit, urine, etc. and the resultant odours. Degrades organic matter such as urine, faeces, blood, food, sweat, soft drinks, milk. Always keep one of these handy sprays in your household cleaning cupboard and car. This is ideal for all those little mishaps and spills associated with pets ie cat urine,faeces, and young children ie vomit etc. For all those who have used Wastex before and want an economical way of purchasing it to refill handy sprays and trigger sprays. 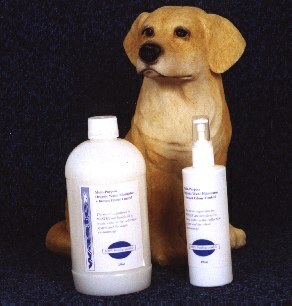 When mixed with upto 20 parts water makes an excellent kennel run wash..
..planet care products, Goring-by-Sea, Worthing, West Sussex..